We specializes in sales of New and Used 3m, 6m and 12m general purpose and high cube shipping containers. Our used storage containers are wind and watertight with sealable doors and undamaged flooring to ensure that your belongings are stored securely, free from rain and mould. We offer 6m and 12m Refrigerated containers for the storage and transportation of temperature sensitive cargo. These containers are also capable of freezing goods and can be used in companies that are manufacturing ice in bigger volumes. Conversions of all types can be quoted on separately. Please send specifications on your requirements. Delivery via crane truck can be arranged. 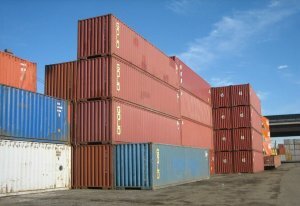 Do contact us for all your container needs and request a quotation.